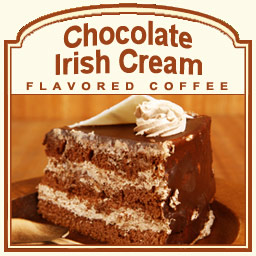 Chocolate Irish Cream flavored coffee offers a full-body of flavor that gives you a decadent Irish experience. With flavorful undertones of whiskey and chocolate, this Chocolate Irish Cream will taste like a dream of delicious and authentic Irish Cream. There is no alcohol in this 2 calorie cup of coffee, but there is a blast of flavor that will certainly warm you up. The Chocolate Irish Cream flavored coffee will feature truly delicious Arabica beans that will make you love Irish Cream all the more. A heat-sealed valve bag will ensure the freshest coffee, which is why we roast and ship on the same day. 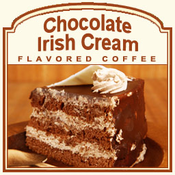 Let the flavors of Ireland wash over you in this Chocolate Irish Cream flavored coffee that will certainly make your taste buds feel like they are in heaven from the first sip to the very last!